The little Thwaites dumper (30+ yrs ago) is about the only gearbox that I have stripped completely but oddly never had to replace anything in the clutch drum. Sounds like you will have to strip it to free it up. IIRR you can pull it off as a complete unit and work on it on the bench. If the shoes are not worn but glazed you might get away with a clean/fine emery. Be careful with the dust as it might well contain asbestos. Is there a service guide to this, as I need to do a strip down as well. 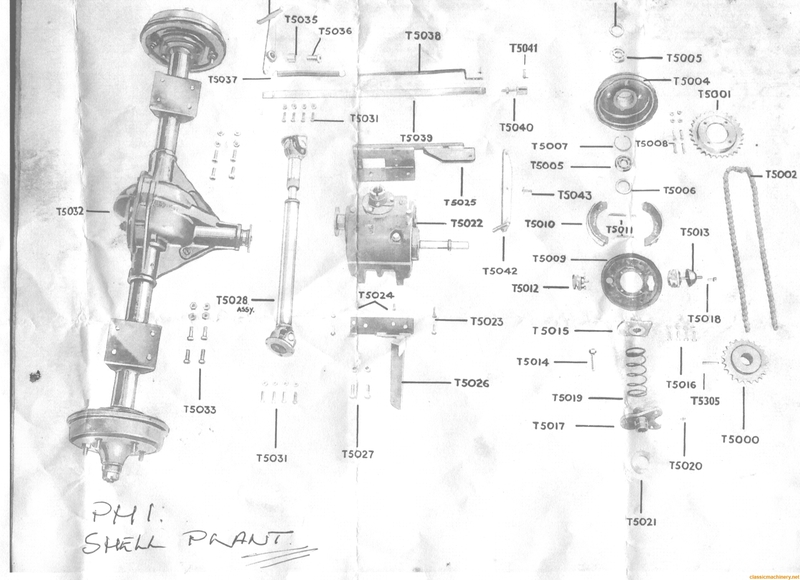 Are the internal springs, and retaining clips, holding the shoes in place, also off the shelf Triumph Herald parts. Is your drum clutch like mine ? 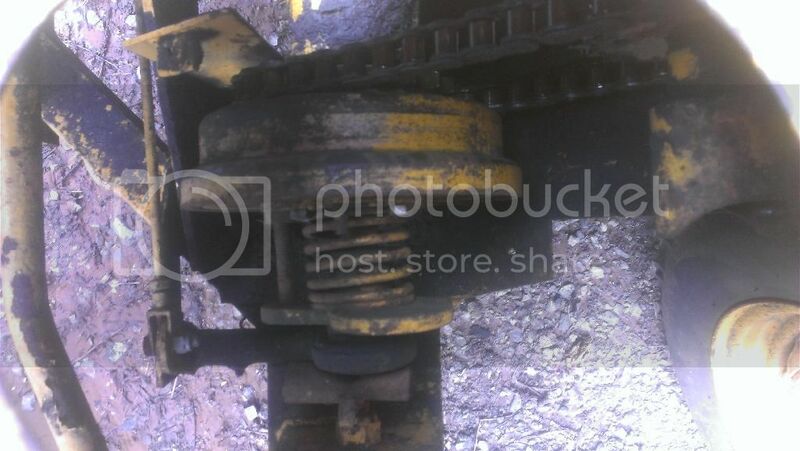 My thwaites dumper clutch is slipping in high gears too. It's a 4wd,artic steer,mk3, 2 tonnes apparently,( there's a pic of it on my post 'What is this?'). The clutch drum looks a lot deeper/wider on mine than the one above. Mines been stood out for over 5 or more years,so hopefully it might be rust covering that's causing it to slip. Anyone done one? 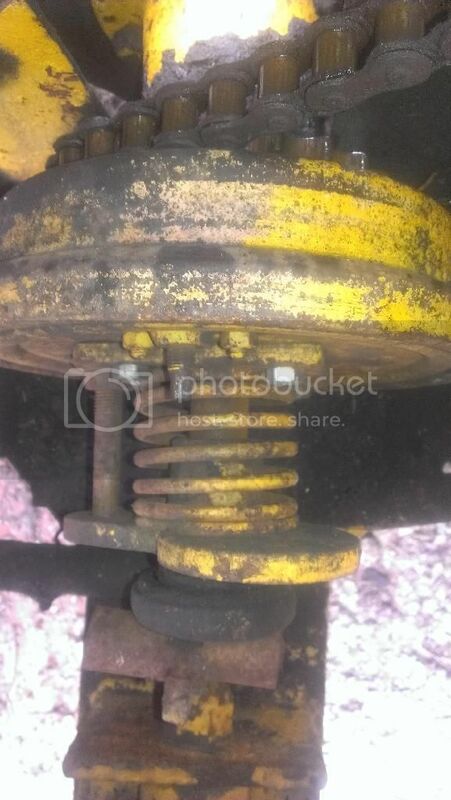 SiH wrote: My thwaites dumper clutch is slipping in high gears too. It's a 4wd,artic steer,mk3, 2 tonnes apparently,( there's a pic of it on my post 'What is this?'). The clutch drum looks a lot deeper/wider on mine than the one above. Mines been stood out for over 5 or more years,so hopefully it might be rust covering that's causing it to slip. Anyone done one? Simon rust would not cause a clutch to slip if you look at the top photo above the square for the 'notes' I have typed 'this is the adjuster' and it is very similar to a car brake adjuster(probably square); you screw the adjuster in until the drum cannot be freely turned then back it off slowly until the drum just rotates freely, the clutch should then be adjusted correctly. The adjusters do rust and seize so it may take some freeing off; try and adjust it and see how you get on, trial and error is probably the best way, if after adjustment the clutch slips them it may well need new linings in which case you will need to strip it and get the brake/clutch shoes repaired, there are plenty of companies around who can do this for you. Thanks for that Jeremy- I haven't even got underneath to have a look at it yet in the few weeks since I bought it. Good to hear it sounds so simple though,even if I do need to strip it all in the end. I do like these old machines for there practicality to work on. When you adjust the clutch get someone to sit on the dumper and depress the pedal to fully release the clutch then hold it down. Tighten the square on the adjuster all the way till it's tight, slack it back about two flats, (enough to free the drum), then release the pedal and hopefully all should be well. Cheers Fred! That's brilliant-sounds just the job. I'll get on and do that soon.